More and more new-to-sailing adventurers are taking to the sea. They need skills. 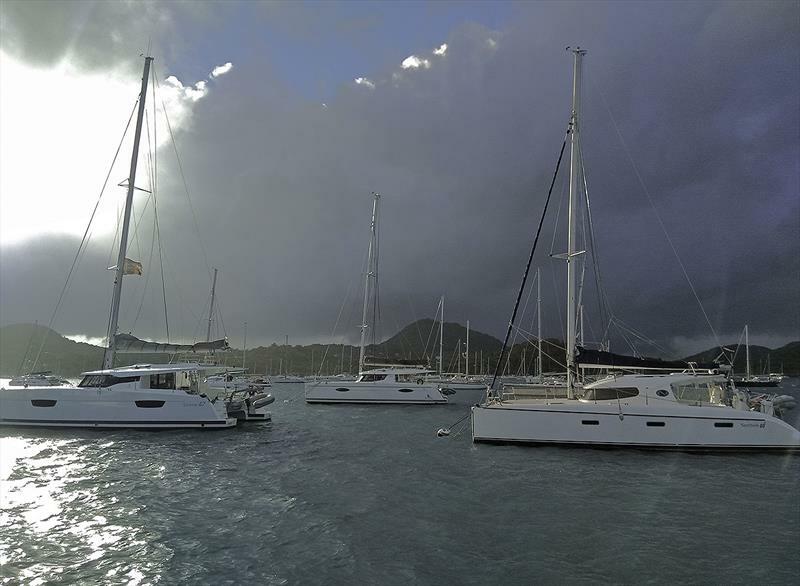 Some, like Multihull Central, who have their SEAbbatical program in place, can show them how to buy, run, gain knowledge and experience, then ultimately take off for shores unknown. As the industry needs new buyers in order to stay afloat (Argh, argh, argh), new ways to offer the chance to do what we all love are paramount. This week, our Managing Editor, Mark Jardine, forwarded me a press release for the eSail Sailing Simulator. Sure, the name could have been a tad sexier (like a lot), but there were some crucial components that stood out, and for this reason alone it was worth some more reading, and investigating. Unique anchoring and mooring capabilities – tick, tick, tick! So last week we talked about a guy who was a lot like Brains from the Thunderbirds, only that he didn't look like him, or talk like him. Beneteau's Damien Jacob is the man responsible for the Seventh Generation of the brand's venerable, super-popular and crucial Oceanis product line. 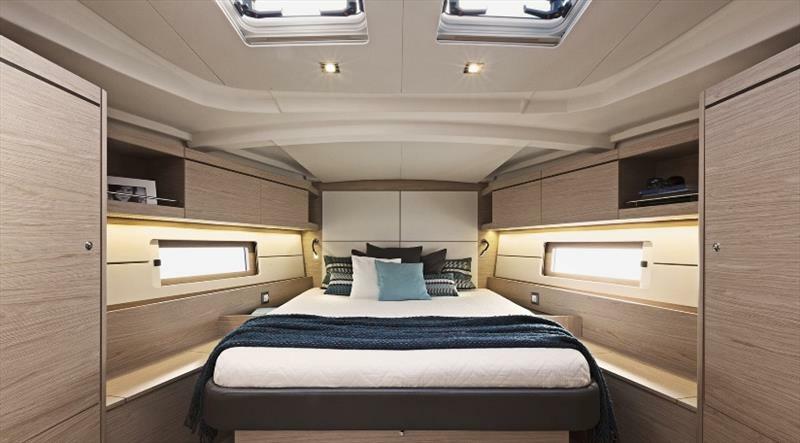 Apart from the very distinguishable hull geometry and the performance gains this afforded, the interior volume gains are what have been most sought after. 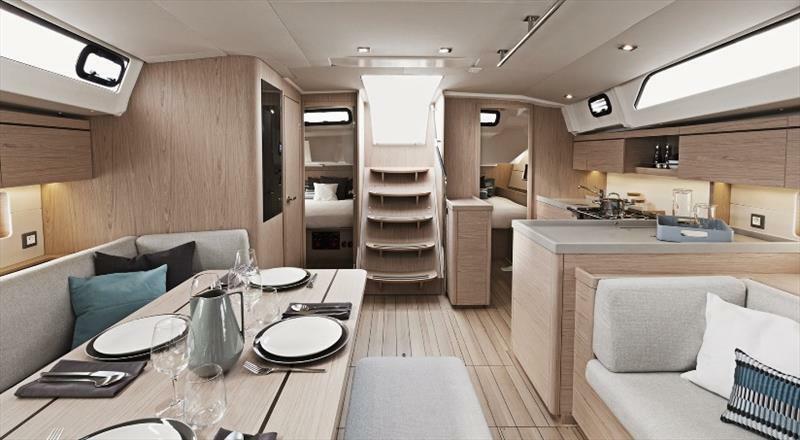 For instance, even thought the boat is just 100mm longer and has the same beam as its predecessor, the main saloon is 15cm longer, and the galley is an extra 25cm larger. Finding these increases is what Damien has found most interesting out of it all, for it has not been done by making the cabins smaller, on the contrary actually as they have even more headroom, but achieved by utilisation and manoeuvring of items the boat over. The result is a feeling of space and air, which is so much the requirement in a modern vessel as it delivers loads on the more ethereal and less cognitive aspects of life on board, over the companionways and bulkheads in the boats of yore. The aft section is also flatter overall, especially at the waterline, so this means those cabins have more walk-in area to turn and position yourself, as well as wider bunks. The other bonus is that this is always a faster hull form under power and off the breeze, as well as being more stable both up and downhill. By keeping the full beam to the transom, you also gain considerable living space from the companionway hatch to the swim platform. Nauta, who did the overall design, had delivered a sleek profile, but this in turn meant that in delivering the gains in space, every centimetre became crucial. Ultimately, this too lead to making storage spaces everywhere they could, but not at the cost of the overall aesthetic or ambience they had worked so hard to achieve. It also meant that all of the furniture that could be moved towards the hull sides was done, but then having the D1s inboard, so as to create an easy access deck, meant you now saw them below. 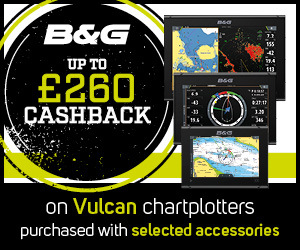 Making a feature of them, without them being intrusive, instantly informed you that you were on a yacht, as opposed to a powerboat, and once again you increased the overall feel and atmosphere from simple, but effective design cues. 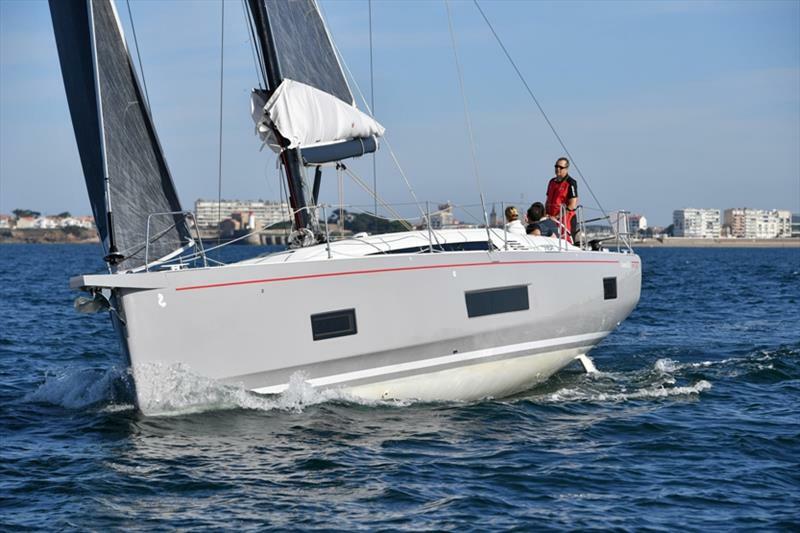 It also delivered on the premise that Beneteau customers wanted to understand how their boat was designed and built, thereby engaging them even more. So having made the decks more accessible, you then needed to keep them clean from control lines and so forth. Another benefit of sending them to the helm area was that the cockpit became purely social, with no need for the cabin top to be utilised as a working area. Again you raise the level of those more unidentifiable, yet incredibly satisfying aspects of sailing and time on the water, but do so with even more safety than ever before. Crew don't need to clamber over guests to make adjustments, and inexperienced hands don't enter areas of skill. Win-Win. Also, if it is easier for you the owner, then you are likely to go out more often, and certainly enjoy your time on the water even more. 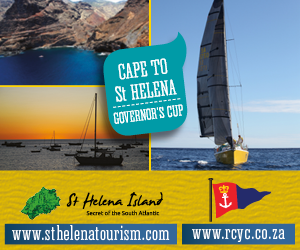 Apart from comfort, the other key aspect is choice, and this mainly refers to you nominating where and how you want to sail, and then choosing the keel and rig combination to suit. 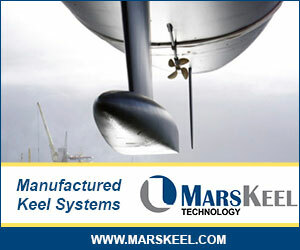 The standard offering is in-mast furling mainsail and self-tacking jib. From there you can go all the way to the 2.65m lead bulb keel, and 1m taller carbon rig and better wardrobe to go with it to deliver 28% more sail area. Indeed it is all client-driven, and the First Line performance pack is a direct result of their wishes. Furlers and powered winches mean you can sail on your own in safety, and still get the best performance out of your craft. The best part for Damien was being there to hand over the first of his babies to the owner. "Talking with them and seeing their faces shows that we have been working in the right direction. Meeting their expectations in terms of comfort, easy sailing and performance is really enjoyable and worthwhile. The twin rudders really made for safe handling, and we had a complete beginner on board during our sea trials who managed the stiff 25 knot breeze whilst heading uphill without any help from us," said a very proud Jacob. "Once you bear away you will climb over 10 knots both smartly and easily, thanks of course to the Code Zero. This First Line version will have you considering a reef in the main at about 17 knots, mainly to lower the angle of heel, for there is not a huge speed drop. 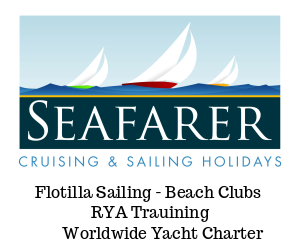 Most people love to sail in and around 12 to 15 knots, which is when you will do 7.5 to 8 knots at around 40 degrees TWA, which will equate to say six and a bit knots VMG." 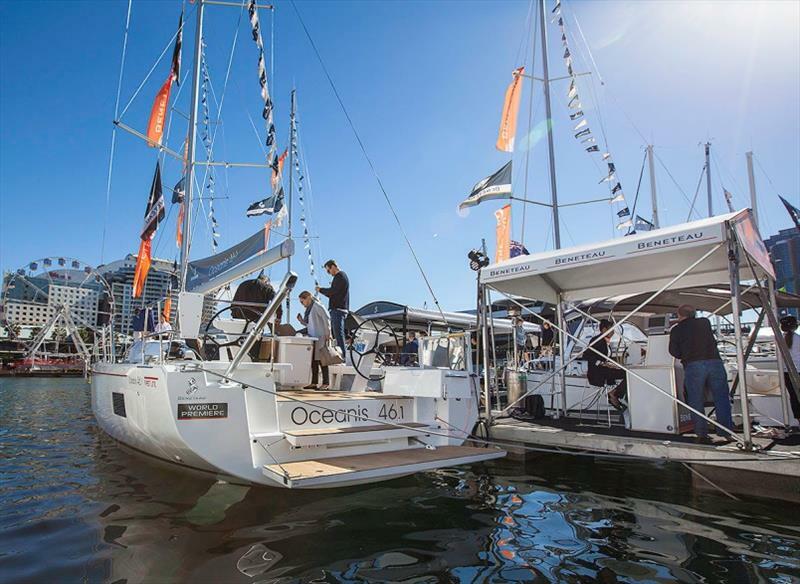 Given that the Oceanis 51.1 was the first of the marque, and the 46.1 makes for two, we can also confirm that the 55.1 will stay as she is, with the next Oceanis to receive the new treatment being smaller. "Eventually we will do all the range down to the 31 inside the next two to three years, with the three key determinants being upheld all the way - easy sailing, performance and comfort." OK. Today you will find that we have information for you from Vanuatu to Australia, the Vaquita porpoise, the Great Lakes, ARC, devouring plastic, tropical storms and hurricanes, Pacific Right Whales, being 100 years young, the Northwest Passage, as well as much more. The Cruising Association (CA) is organising a one-day North-West Roadshow for members and non-members at the National Waterways Museum in Ellesmere Port, Cheshire. The National Hurricane Center described Michael as "potentially catastrophic." Michael could be the worst storm ever to hit the Panhandle. The world leader in leisure craft continues to drive growth, by finding new ways to enjoy boating together. The American SailTime, will rely on Beneteau's influence and reputation to set up business in Europe. Swimmers and boats that come to visit wild spinner dolphins close to shore during the day could be disturbing their rest and potentially harming them. We were cruising in company with British friends on Only Blue and decided that we could not leave these fascinating Vanuatan Islands without doing some significant exploration. Operation Milagro V has launched! Due to the critical state of the vaquita, Sea Shepherd has started the campaign a few months early to give the vaquita the best chance at survival. The eastern North Pacific right whale is the rarest of great whales: after decades of legal and illegal whaling, 30 are thought to remain. They are seldom sighted, and little understood. The 2018 edition of the Grand Pavois La Rochelle, which delighted many new exhibitors (more than 110 neboats exhibited out of the 750 present) for the number of highlights which marked this year's event, the overall atmosphere and the show's new layout. Happy 100th birthday to Herb Weiss! Beloved members Herb & Ruth Weiss, m/v 'Ancient Mariners', celebrate a milestone in life. Their OCC friends bid Herb many more years of happy cruising. Designs for a £40 million ($52 million) new eco-yacht that will collect plastic from the ocean and recycle it as it sails have been unveiled in Southampton. 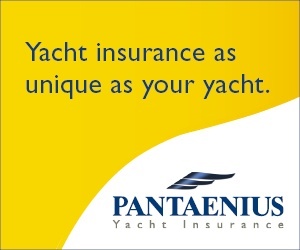 Are you considering selling your sail or power boat this Winter? Formed in 2014 by development engineer Henry Dokonal, Trogear are creating a buzz around their Trogear Adjustable Bowsprits. Tried and test for many years by Henry himself the bowsprit is popular with racers, cruisers and single-handed sailors. 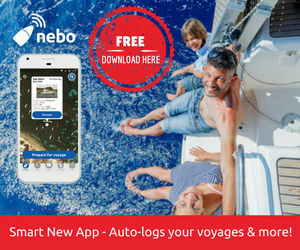 Navico, the world's largest manufacturer of marine electronics, today announced the launch of C-MAP Embark, a nautical navigation app designed to refresh the planning, cruising and fishing experience with a clear aim in mind — to make it simpler. After leaving Christmas Island, World ARC crews arrived in Cocos Keeling, for a 6 days stopover in the crystal clear water of the Lagoon formed by the main 3 islands of the atoll, Direction, Home and West Islands. 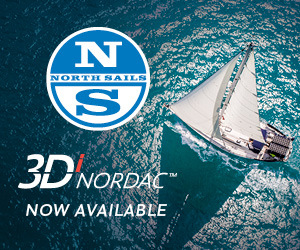 The new promotion includes a complementary mazu system on all fifty foot and longer sailboats ordered at this year's United States Sailboat Show, held October 4-8 in Annapolis, Maryland. In a place where ancient temples meet cyan waters, you'll soon find there's no better way to experience Thailand than on a Sunsail adventure.